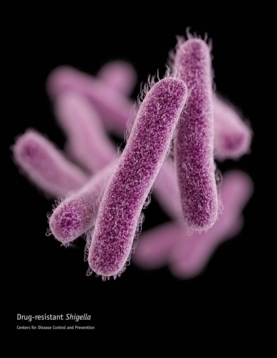 Shigella sonnei is a rod-shaped bacterium that causes 500,000 cases of diarrheal illness and 40 deaths in the United States every year. The kinds of bacteria that can cause food poisoning lurk all around us. These germs can be especially easy to pick up when traveling internationally as well as in places, such as children’s day cares, which are hard to keep clean. The infections usually clear up on their own but sometimes require hospitalizations and hefty doses of antibiotics to expunge. Unfortunately, the bacteria are becoming increasingly resistant to treatment. This article originally appeared on Scientific American‘s website on May 18, 2015 and also in the print edition of the August issue of the magazine.